Hey, there! It’s Wednesday noon so it must be time for this week’s MFTWSC! Are you ready? Here’s this week’s sketch. All of the details about the sketch challenge are available on the MFT blog as well as in the weekly newsletter. The Design Team will be on hand to provide plenty of inspiration to get you started. Another great sketch from MFT!! I started with a Sweet Tooth card stock base then embossed a piece of Sweet Tooth card stock with LJD Spring Flowers Stencil, rounded the corner per the sketch, and popped it up on foam. Next I popped up an Open Scallop Doily Duo Die-namics cut from more Sweet Tooth card stock and Stamped with a sentiment from LJD Fall Foliage stamped with Black Licorice ink. I then added a strip of Grapesicle card stock cut with Fishtail Flags STAX Die-namics. Then I added some flowers cut from LJD Forget Me Not Die-namics and stamped with LJD Forget Me Not in Grapesicle ink, Lemon Drop ink, and Sour Apple ink and adhered them. I finished off with a few clear gems. Another sentiment from LJD Fall Foliage is on the inside. And there you have it! That’s all from me today. Thanks so much for stopping by! Hi, everyone! It’s Color Throwdown time and this week Monica has a bold and striking color combo for us to work with. Since the colors were intense, I decided to go CAS with a lot of white space to balance it out. I started with a Sweet Tooth card stock base, then stamped LJD Forget Me Not in the challenge colors. The sentiment was made by cutting Thank You Die-namics from Black Licorice card stock and popped it up on foam. A few orange sequins finished it off. The inside has a sentiment from Sending Thanks, stamped with Black Licorice ink. And that’s it from me! Remember, you do not have to have the exact colors to play the Color Throwdown challenge. If you don't, just use the closest you have. So, c'mon over to the Color Throwdown blog and play along with us this week. Please use the link service to post your card and please link directly to your card so we can find it easily. And please include a link in your post to the Color Throwdown. If you upload your card to a public forum, please use the keyword CTD281 so we can see your beauty all in one place. Hope to see you there! Be sure to check out what the other team members have come up with this week! Hi, everyone! 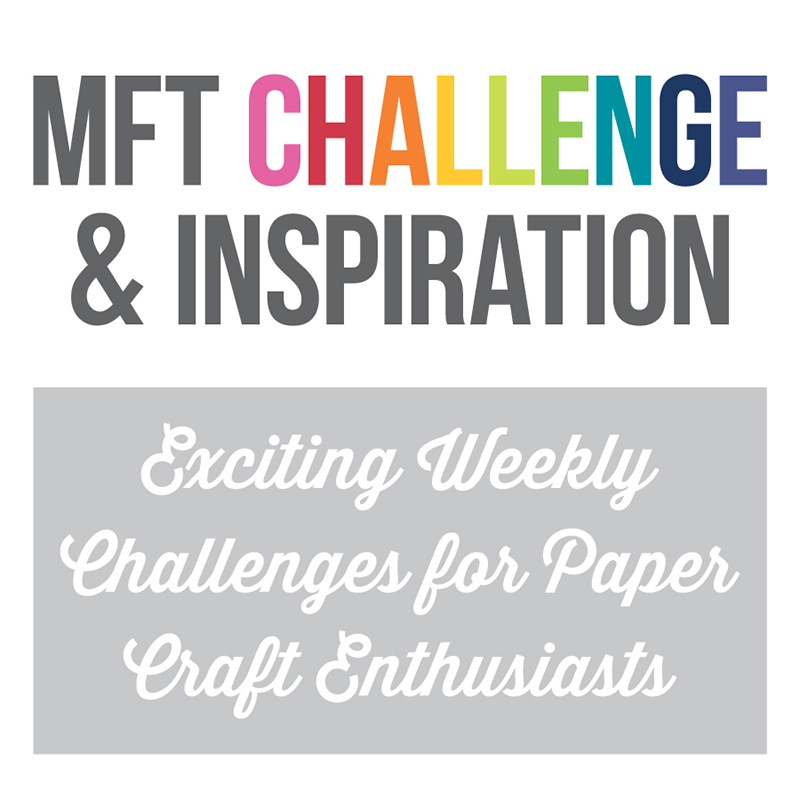 And welcome to MFT’s February Creative Challenge! The MFT Design Team Creative Challenge is a monthly feature where we are challenged to explore our creative side using a specific theme, product, or technique. 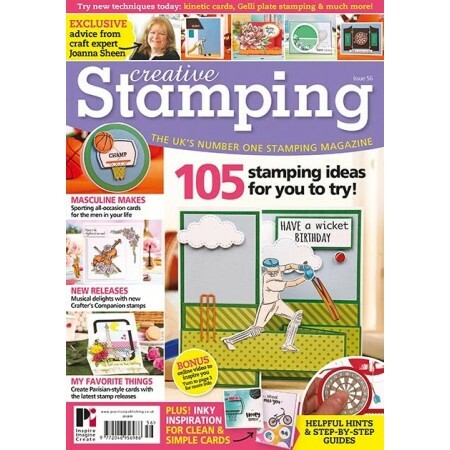 This month, Creative Stenciling! Look forward to an assortment of creations from today's participating designers as we create projects using MFT Stencils. 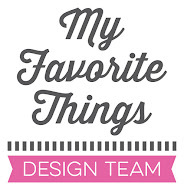 Be sure to check out the MFT Blog for a list of all the designers who have a project to share with you today. Along with some others on the MFT design team, I recently took an online class on stenciling and learned some pretty cool techniques. I couldn’t decide which ones to use today so I did three different ones to share with you. First up is one of my favorite ways to just add some subtle interest and texture when you don’t want something really bold that will take away from your focal element. Embossing paste or modeling paste is super easy to use and really adds dimension to your project. I used it right out of the jar today but you can color it with ink if you want to go that way. First of all, I taped my MPD Scallops stencil down on top of some Sweet Tooth card stock and masked off the general area I wanted to stencil. Then, with a palette knife, I spread the embossing paste over the stencil and onto my card stock. I like to sweep it off at an angle so some of the openings only get a touch of paste, to add interest—in other words, don’t fill each opening completely. BUT, the great thing about this product is that if you don’t like what it looks like, just scrape it off with your palette knife and start over—as long as you haven’t colored it. Then it’s just a matter of letting it dry and using it on your card. You can speed up the drying with a heat tool but be careful—embossing paste will bubble up if it gets too hot. I then finished my card using some scraps of stamped paper I found in my stash—Grout Gray card stock stamped with Grout Gray ink and Striped Backgrounds, then stamped with a Black Licorice ink sentiment from Get Well Wishes and Sweet Tooth card stock stamped with Black Licorice ink and MPD Damask Designs. Then I added a Leaf-Filled Flourish Die-namics cut from Sour Apple card stock and an Upsy Daisy Die-namics flower cut from Orange Fizz card stock with a Chocolate Brown card stock center. I finished off with a few orange enamel dots. The inside has another sentiment from Get Well Wishes. My second card shows how you can create your own patterned paper with stencils. I used Stripes Stencil and some Distress ink to make this paper. I like how you can get subtle shading with Distress inks so I chose two colors to work with. I simply taped the stencil down on my craft sheet on top of some Sweet Tooth card stock and sponged one color on. Then I turned the card stock 90 degrees and sponged on the other color. To complete the card, I trimmed my new patterned paper down and matted it with Black Licorice card stock to ground it. Then I stamped the sentiment, from LJD Blissful Butterflies, on Black Licorice card stock with Sweet Tooth pigment ink and heat embossed with white embossing powder and popped it up on foam. I stamped a butterfly from the same set on a LJD Blissful Butterflies Die-namics cut from Orange Fizz card stock with Black Licorice ink and popped it up on foam as well, on top of some black hemp cord loops. The inside has another sentiment from the set. For my last card, I bubbled up the embossing paste on purpose. I started with some Sweet Tooth card stock and MPD Damask Stencil. I only wanted to use the larger image so I masked off the rest and applied my embossing paste as usual. This is what I had when I pulled off the stencil. Gorgeous just like this, right? While it was still wet, I sprinkled on some silver embossing powder and heated it up. You’ll need to be careful to not burn it but you want to hold the heat on about as long as you do to emboss on paper and until you see the embossing paste bubble. You get incredible dimension with this technique and it almost looks like metal. To complete my card, I matted it with silver metallic card stock and popped it up on a Black Licorice card stock base. I cut a Banner Greetings Die-namics from Black Licorice card stock and stamped the sentiment, from Banner Greetings, with Versamark, then heat embossed with silver embossing powder and popped it up on foam. Another Banner Greetings image was stamped on the inside with Black Licorice ink. And there you have it—three ways to use your MFT Stencils that you might not have considered. Thanks so much for stopping by today! 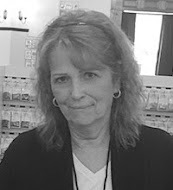 Paper Pursuits Blog is a personal hobby blog with the sole purpose of sharing paper crafting projects. It is non-profit and does not make use of any personal information shared in any comments or any third-party applications such as email subscription services, or by blog hosts (Blogger/Google). All content, including text, photographs and concept design elements are © Barbara Anders unless otherwise noted. Content within this blog is shared for personal and/or non-commercial use and inspiration only. Feel free to CASE any of my designs, but if you do, please give me appropriate credit. Please do not submit my designs for publication or recreate for selling purposes. Thank you for your understanding!